Wherever there is requirement of stainless steel vesels for chemical process plants, we are ready to offer you our services. We have supplied chemical vessels, Hoppers in AISI, 304,310, 316, 316L to customers like Mitshubishi chemicals, L&T and Himadri Chemicals for there various requirements. Wherever there is requirement of stainless steel vessels for Chemical Process Plants, we are ready to offer you our services. 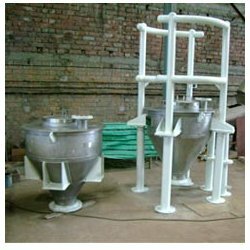 We have supplied chemical vessels, Hoppers in AISI, 304,310, 316, 316L to customers like Mitshubishi chemicals, L&T and Himadri Chemicals for there various requirements. Looking for Chemical Plants ?